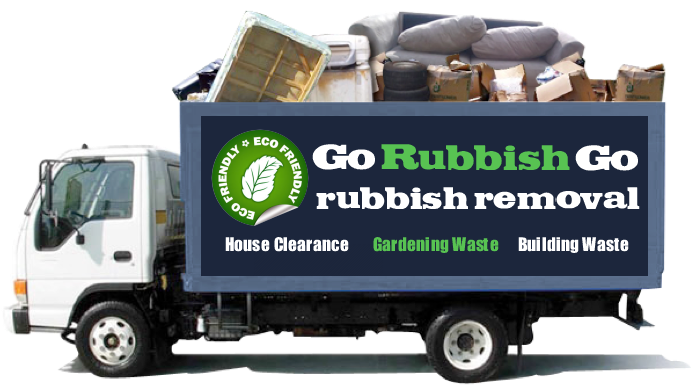 Keeping your home or office free from junk isn’t easy, and whether your garage is causing you problems or if your office is filled with unwanted furniture, Go Rubbish Go can help you! We’re the home of some of the best rubbish clearance in Finsbury Park, N4, and our house clearance professionals are just waiting to help you. In no time at all we’ll clear your property with our fantastic junk removal and waste disposal services, leaving you with more free time, more space and less stress. 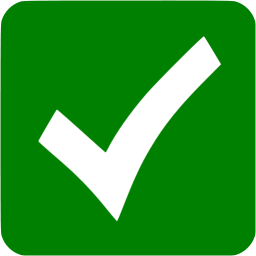 Lots of people in Finsbury Park, N19 have already depended on our experts for professional, reliable and efficient waste disposal N4. No matter how big a job you might have on your hands, we have the services that you can rely on. Our years of experience make us the best choice for you, and since we serve both homes and commercial properties, you simply can’t go wrong if you choose us! To find out more information and to hire our N4 junk removal services for your needs, speak to a team member today by calling us now on 020 8610 9182! 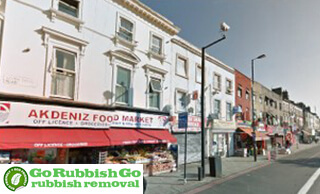 Call Now For Professional Rubbish Clearance In Finsbury Park, N4 For Your Home Or Office! 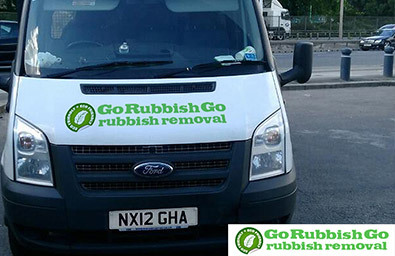 Go Rubbish Go is the only company that you need to call for professional waste collection in Finsbury Park. 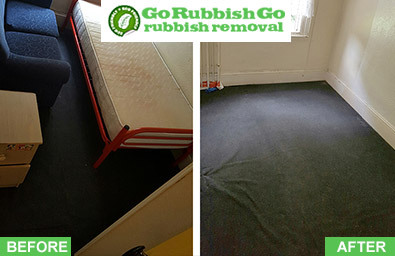 We’re one of the most popular companies in the whole of the N4 area, and if you choose our experts then you won’t just be getting a wide range of Finsbury Park rubbish removal services and an experienced team to help you, but you’ll also be getting a great price too! We keep our rates low and competitive, and our prices are perfect for every pocket. By far the best rubbish disposal in Finsbury Park! I’ve used their services in N4 three time already and every time they have delivered nothing but excellent results. Will hire again, should the need arise, and will definitely recommend to others! Hire Our Finsbury Park Rubbish Removal Team In For Your Clearing Needs! Call us now and get a free price quote with no obligation needed, so that you can find out just how much money you can save! With no hidden fees or costs, a variety of flexible working times to suit you, and fast and reliable Finsbury park waste removal services, getting a clutter-free home has never been this easy! Ensure that your home or office looks its best without having to put the hard work in, and call our rubbish clearance teams today. If you live in the N19 postcode district then our rubbish removal teams can help you – call 020 8610 9182 now! We are the company to call if you want to get rid of the clutter in your home. Not only are we experts at rubbish disposal Finsbury Park, but we’ll also know just what to do with different types of waste and junk, in order to dispose of it in a safe and effective manner. This also includes being clued up on recycling methods, and so whenever possible, we aim to recycle and do our little bit for the environment. Our waste disposal team are fully trained professionals, which means that nothing will faze them. So no matter how much junk you need disposing of, our company will provide you with an easy and stress-free solution. Finsbury Park is the best place to call home! Finsbury Park is found in north London, and is a part of the London Boroughs of Hackney, Haringey and Islington. Finsbury Park is home to a large transport hub of the same name – the Finsbury Park station is comprised of a major rail, bus and tube interchange which makes navigating and commuting around the area very quick and reliable. Places found near to Finsbury Park including Islington, Crouch End, Harringay, Highbury and Manor House. One of Finsbury Park’s most famous landmarks is a large public park of the same name, which sits in the London Borough of Haringey. The park is over 100 acres in size, and was one of the first great London parks of the Victorian Era. Along with a lake, children’s play area and many cycling paths, the park is also an excellent place for sports fans thanks to its basketball court, tennis court, football pitches and athletic stadium.